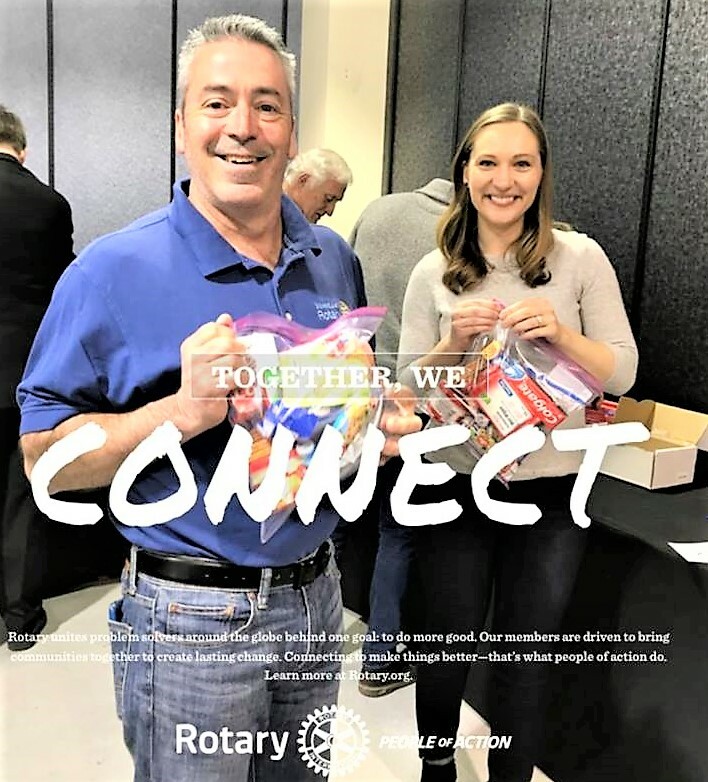 Rotary & The Coffee Oasis - Working for a Better Community! Silverdale Rotarians and The Coffee Oasis are working hard to help homeless and neglected kids in Kitsap County. 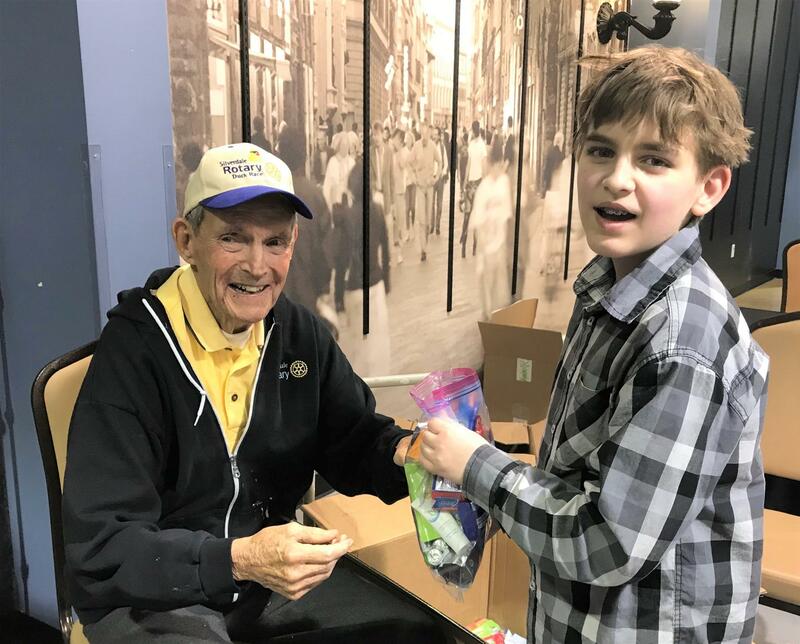 Rotarians Ed Hamilton, Ashley Oaksmith (pictured above) and the rest of our club and guests filled 100 bags of supplies and food for homeless kids on April 4. Thank you to The Coffee Oasis for distributing the supplies to kids in need, and for all of the great work their organization does in our community. For more about Coffee Oasis' amazing programs, go to https://portal.clubrunner.ca/730/Stories/coffee-oasis-program-on-april-4. What a great turnout we had on April 4!! We had 12 guests attend our meeting (including Meredith Green, Rotary District 5020 Area 9 Assistant Governor, pictured below left) in addition to 30 Silverdale Rotarians! It was a real pleasure to have four children and three young adults pitch in to help! Part of our mission in Rotary is to pass on the values of ‘service above self’ to the next generations! 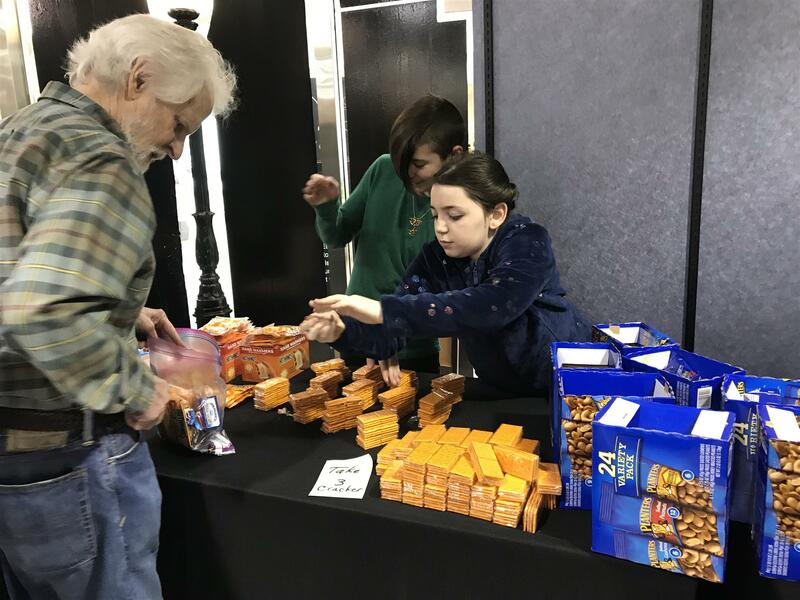 The kids helped set out all the items and had table assignments and the young adults helped cart and pack all items in the Coffee Oasis truck! Rotarians and guests pitched in to pack the bags with enthusiasm. Items included: 2 combs, pack of wipes, toothpaste, tooth brush, 2 small shampoos, hand warmers, tuna snack pack, 2 bags of peanuts, 3 granola bars, juice bag, 3 cheese cracker packs, apple sauce, candy and a Chef Boyardee snack pack. The gallon sized bag was packed to the brim! 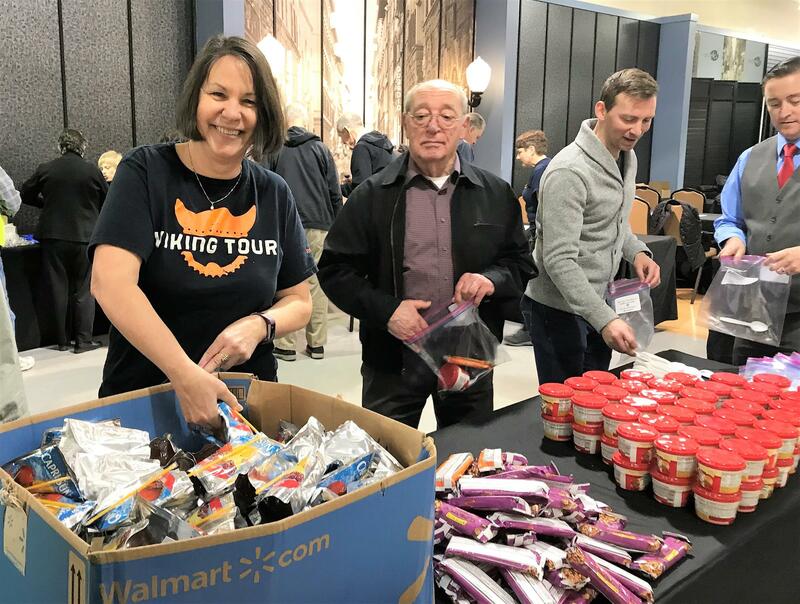 In addition to the 100 bags, there were multi meal food bags from our work party on March 28 for Coffee Oasis to distribute to kids in transitional living situations, plus 200 pairs of warm socks, 100 additional juice bags, and a case of chili. 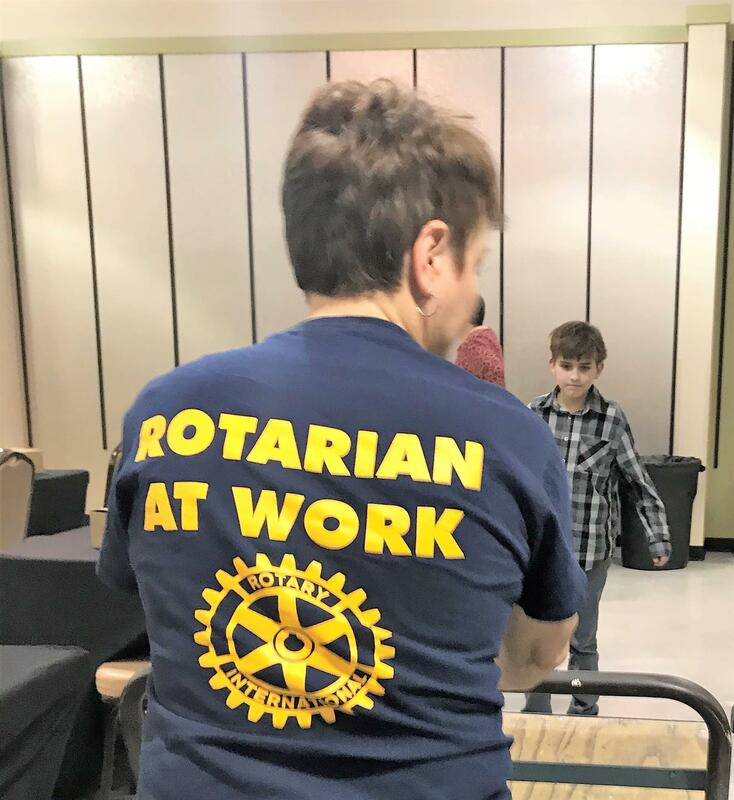 Rotarian Erin Leedham (inset), Manager of the Kitsap Mall, worked tirelessly throughout the entire event, setting up the Community room, helping to set out food and hygiene products and breaking down and rebuilding boxes as the need arose. She then assisted with the kids' help to clean up the room. We cannot thank Erin enough for welcoming our Club to the Mall for our various projects! Your team of Security guards and support staff helped in many ways to make this project possible! 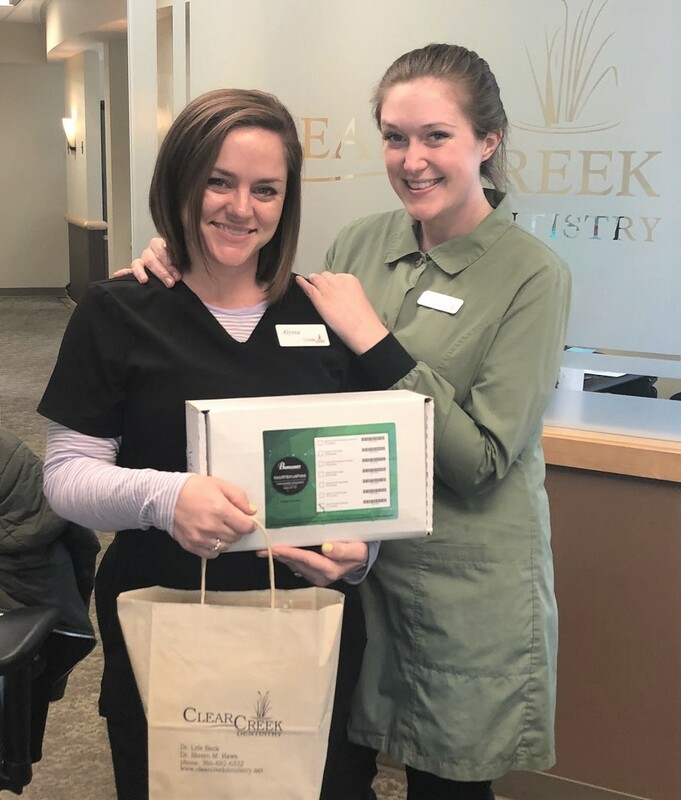 A special thanks to our partner Clear Creek Dentistry for donating 100 tooth brushes! Thank you everyone for helping meet needs of homeless youth in Kitsap County! You are making a difference!